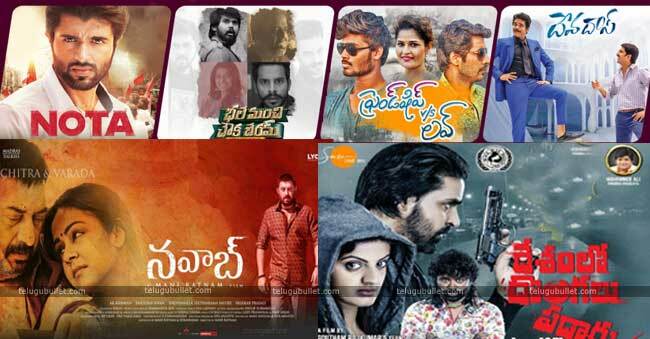 The Tollywood had entered into the final phase of the year and it is confronting dull collections everywhere. The most hummed and expected flicks are winding up as average flicks. Tollywood Boxoffice is running weak from the last ten days, Movie buffs are not showing up the theatres because of reviews. The movies are getting great openings however then the audience is not empowering the movies after the first day keeping reviews in mind and the mouth talk about the movies. The most anticipated multi starer Devdas featuring King Nag and Natural Star Nani has collected 30.45 crores while it collected a distributor share of 18 crores as of recently. All the released theatres are running void which indicates the film is nearly finishing its run. According to the most recent buzz, the film NOTA featuring Vijay Devarakonda and Mehreen Kaur has collected 3.23 crore rupees at the box office. 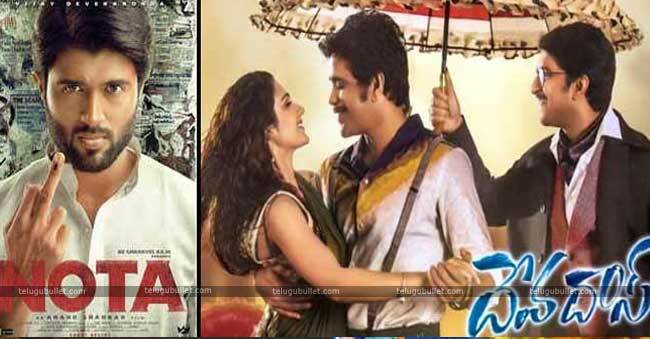 In the meantime, the film has collected an amount of 7.27 crores in both the Telugu states and other regions. 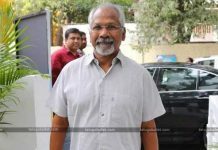 Apart from Nota and Devadas, Mani Ratnam Latest venture Mani Ratnam’s Nawab which feature Aravind Swamy, Vijay Sethupathi, Simbhu, Arun Vijay and Jyothika in lead roles doing exceptionally well at the box-office. 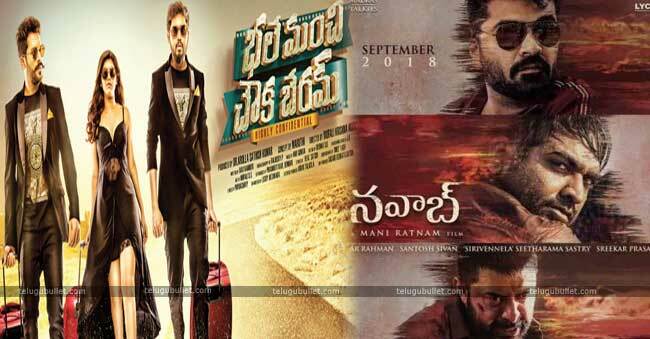 Other Small Films from the Telugu Film Industry Like Bhale Manchi Chowka Bheram and Desham lo Dongalu Paddaru Failed to impress the audience and those ended up with disaster failures at the box-office. Now Movie lovers and Critics are eagerly waiting for the Triviram – NTR Aravinda Sametha film since NTR Image Is enough to pull crow to the theatres but we have to wait some more time whether it runs well at the box-office or fail.